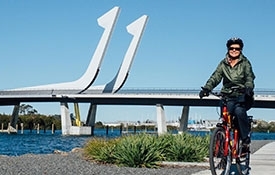 We are located just 5km from Whangarei City Centre. For ease of access, either the #3 or #3A CityLink busses will bring you out to Whangarei Falls, approximately 300 metres from the hostel. Bus schedules can be found by clicking on the route number above. 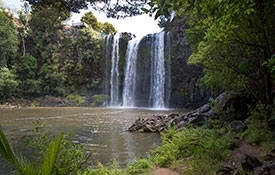 Beautiful Whangarei Falls and scenic bush tracks are a two-minute walk away from the holiday park. Local shops and bus stops are nearby. For those wishing to relax, beautiful beaches are a short drive away. Just 300m from our front gate, Whangarei Falls (Otuihau in Maori) is a spectacular view for a short walk. The falls are a single-drop of over 25 metres, and are especially breathtaking after a storm. 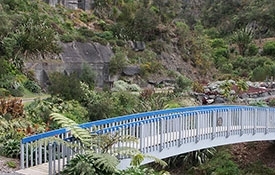 Whangarei Quarry Gardens is a subtropical oasis created by volunteers in the remnants of a former quarry in Kensington, Whangarei. The Town Basin is a lovely collection of shops, cafés, art galleries, and museums. 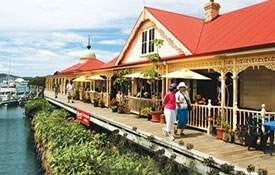 Check out the Whangarei Art Museum, Clapham's Clock Museum, and Grinter Glass, all located in the Town Basin. Open from September to the first weekend in June. 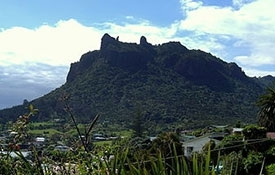 Mount Manaia is one of a cluster of jagged, bush-covered hills that make the area one of the most dramatic harbour entrances in New Zealand. 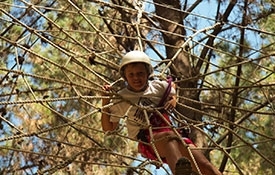 A track leads you through regenerating native bush to the summit of Mount Manaia, 403 metres above sea level. 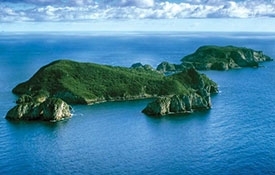 World-renowned oceanographer and film-maker Jacques Cousteau named the Poor Knights Islands as one of the top 10 spots in the world to see marine wildlife. Divers from all over the world travel to New Zealand specifically to dive here. Talk to our office for help in booking a snorkelling or diving adventure. Take a walk through the history of time. 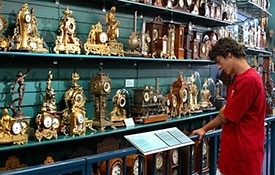 From ancient sun, sand and water clocks, to rare antique clocks, and wacky, zany, unbelievable clocks – there's something to entertain everyone in the largest and most historically significant collection of clocks in the Southern Hemisphere. 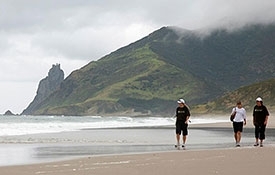 The Whangarei Heads peninsula is becoming the playground and place to holiday for those "in the know." The 6000 hectare peninsula is a water and nature lover's paradise and the place to stay on your Northland holiday or weekend break. 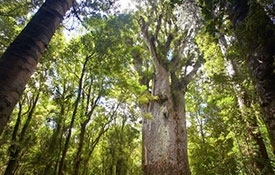 When Europeans arrived in New Zealand, the kauri trees covered most of the North Island. Due to their mass and straightness, they were prized for shipbuilding and other construction, and have been logged off in most areas. Come see one of the oldest species in existence, and admire the gentle giants in this park that are over 500 years old. 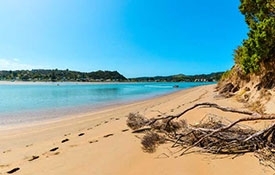 Kiwi North is set on 25 hectares of rolling, volcanic farmland, forest and bush, with views that overlook the city of Whangarei and the Whangarei Heads. 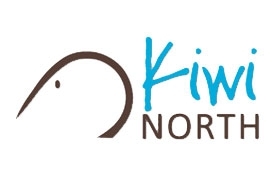 The site features a museum, a nocturnal kiwi house and gift store, and unique Victorian heritage buildings. 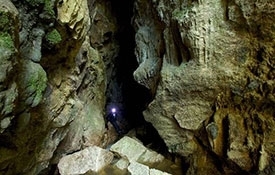 Abbey Caves Reserve is 18.7 hectares in area and comprises three significant caves, naturally sculptured limestone outcrops, bluffs, enclosed depressions and sink holes. 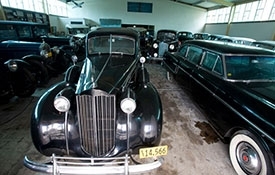 The museum exhibits were collected over a period of 60 years by Graeme Craw, and has its roots in Graeme's fascination with the Industrial Revolution. This era saw developments in engineering that changed the world forever. It was a time of innovation and invention. This unique collection shows the changes from horse- and oxen-power to heavy machinery such as our steam traction engines, bulldozers, tractors and earth-moving equipment used by the men and women who built New Zealand's infrastructure. 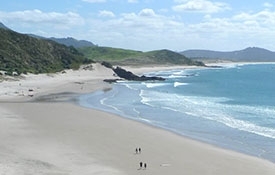 Less than a 20-minute drive from the holiday park, spend the day relaxing on some of Northland's most beautiful beaches. Make sure to check out the Mermaid Pools of Matapouri Bay while you're here, too. 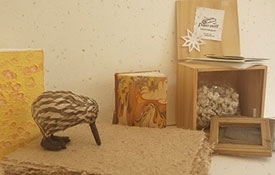 The Papermill is a creative environment for artists with disabilities to create out of different paper mediums. 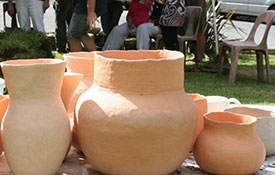 Come watch the artists create beautiful pieces of art, and learn the art of papermaking for yourself. 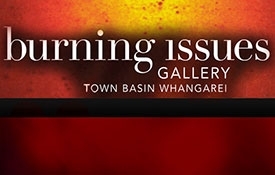 The Burning Issues Gallery is an artists' gallery which includes the Mahy Hot Glass Studio, an active glass-blowing studio in the Town Basin of Whangarei. Stop by to watch the artists as they create some fascinating hand-blown glass masterpieces. Keith Grinter owns the studio, and teaches glass-blowing classes to the public. Check out his website, here, for more information including cost, inclusions, and how to book a private or group lesson. After you leave us, check out Waipoua Forest for two of the oldest and largest specimens of Kauri tree that have been discovered. 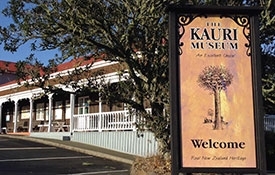 Experience the history of the European settlers of New Zealand through the lens of the Kauri industry. 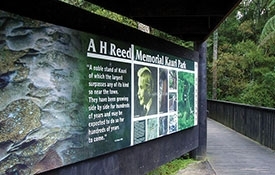 See amazing art made from Kauri wood, and explore exhibits on the history of New Zealand and how important the Kauri tree was to the pioneers.